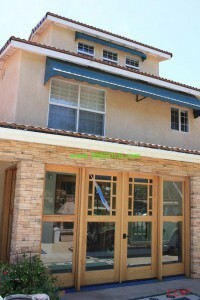 Arroyo Grande Mesa Rental. Realty Professionals 805-473-0300. Arroyo Grande Rental on the Mesa. One is a Two bedroom One bath on the second and third floors with ocean views is only $1,950 month. The other unit is a Two bedroom One and half bath plus a large sun room on the bottom floor for only $1,950 a month. Both units have fireplaces and are very artistic. Pets are a possibility with a pet deposit and are subject to the landlords approval. There are several patios and outdoor entertaining areas located on the property. There will also be a One bedroom unit coming available around January, this unit will be $1,650 and has ocean views. For more information contact Kevin Jones today at 805-473-0300.